Need to work on your grammar? Please refer to the links below . . . Practice your skills with our class tests. Please see me for our class code! Chomp Chomp grammar has tutorials, exercises, and straight-forward rules to follow in bulking up your grammar game. Podcasts, "quick and dirty" rules, and an easy to access format make this site a total winner. Comprehensive grammar and writing website that has answers to all of your grammar questions. 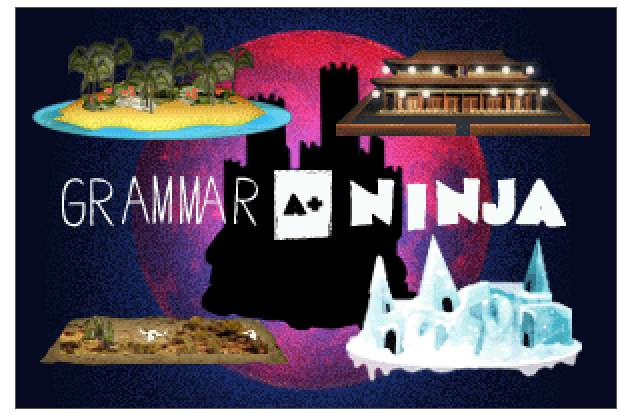 Grammar Ninja allows you to play a video game while solving grammar questions on your quest.